Our objective was to evaluate the effectiveness of the U.S. Postal Service’s roofing preventive maintenance program. 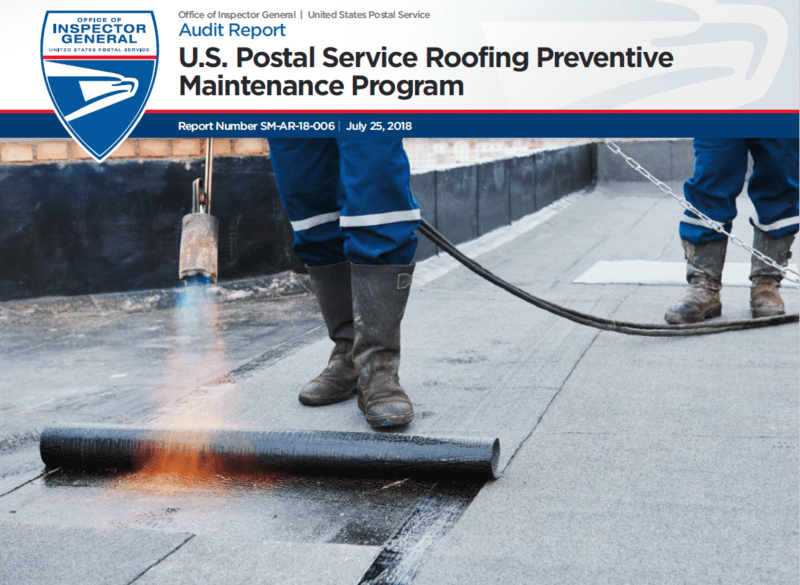 The Postal Service has established a preventive maintenance program to oversee the process of extending roof life, protecting roof warranties, and reducing emergency repair replacement costs. Prior to August 2011, the Postal Service’s Maintenance Operations group was responsible for the preventive maintenance of owned facilities’ roofing. From August 2011 to August 2017, the Postal Service contracted with Roth Bros., Inc., to manage the program, which was not renewed. From September 2017 to present, there has not been a vendor contracted for nor Postal Services resources dedicated to conducting preventative maintenance on its owned facilities. The Postal Service is responsible for about 195 million square feet of roofing across its portfolio of 8,349 owned facilities. We reviewed a statistical sample of 203 Postal Service-owned facilities. Did not maintain an accurate inventory of all its owned facilities to ensure they were appropriately inspected. Did not schedule prescribed semiannual roofing inspections for its owned facilities, as required by policy and manufacturer’s warranties. Did not address the contractor’s recommendations, or implement an alternative corrective action, for eight of 29 (28 percent) facilities with roofing issues categorized as critical. Did not consistently track manufacturer warranty data for over 7,000 owned facility roofs. Did not adequately measure the effectiveness or impact of the roofing preventive maintenance program. 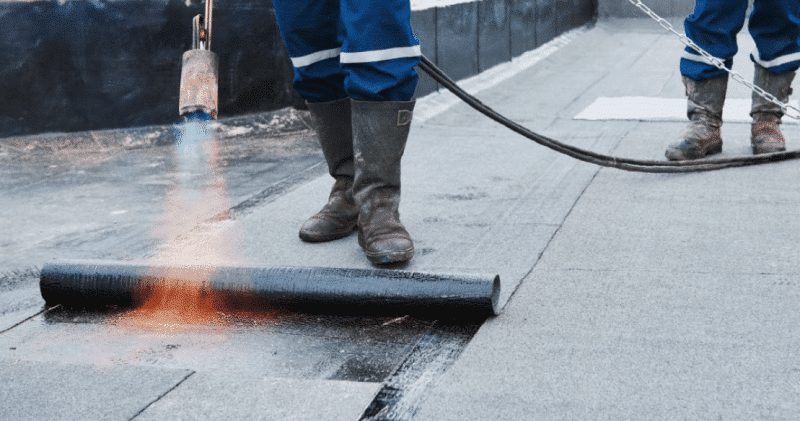 For a roofing preventive maintenance program to be effective, the facility owner should implement the recommended course of action to immediately re-roof those in critical condition. The Postal Service is also required to maintain the manufacturer’s roofing warranty on file to submit any claims. These issues occurred due to a combination of ineffective controls, budget constraints, and management decisions. Current controls do not include a process to ensure updates to owned facilities are timely and accurate, maintain a centralized database to consolidate and manage warranty data, or establish a mechanism that isolates roofing costs/expense data in the electronic Facilities Management System to measure program effectiveness. In addition, in part due to budget constraints, management decided not to conduct the prescribed semiannual inspections on all its owned facilities or implement corrective actions for all critical roof issues identified. Failing to conduct prescribed roofing inspections increases the risk that the life expectancy of roofs will be reduced, required repairs will go undetected and escalate, and, ultimately, that manufacturer warranties may be voided, resulting in additional repair costs. Additionally, by not adequately maintaining roof warranty documentation, there is the risk of paying for roof repairs that may be under manufacturer warranty. We identified $18,760 in questioned costs that the Postal Service paid for roof repairs covered under a valid warranty. Lastly, without a way to measure program effectiveness, management does not have adequate data to make informed decisions, prioritize funding, and measure return on investment. Implement controls, including a process to ensure there is an accurate inventory of Postal Service-owned facilities in the Roof Asset Management System. Assess the cost-benefit of current policies being less prescriptive than manufacturer warranty requirements for conducting preventive maintenance inspections and revise policy accordingly. Request funding to address issues identified in the critical category and implement a process to document reasons for not addressing these issues. Establish a centralized database to maintain roofing warranty data. Develop performance metrics to measure the roofing preventive maintenance program’s effectiveness and implement a process to track results. This entry was posted in General Union Business, Maintenance Business and tagged APWU Maintenance Craft, Facilities management, management failure, management incompetence, preventive maintenance, roofing preventive maintenance program, USPS OIG Audit Report. Bookmark the permalink.